Court documents obtained by E! News reveal that since their split last year, Tatum and Dewan have not followed a "consistent or formal" schedule and Channing hopes that having an official custody arrangement will help Everly "thrive even more." 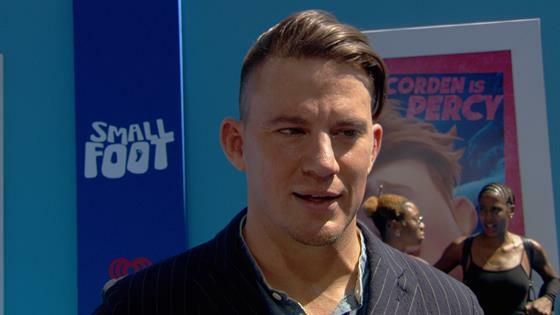 According to the documents, Channing hopes to have a custody arrangement that is "equal, mutual and self-executing." In regards to the holidays, Channing and Jenna will "equally divide and alternate" custody. The only holiday that the parents appear to plan to spend together is Halloween, during which they "shall try to work together to try to spend Halloween together, trick or treating with Everly from 5:00 p.m. to 7:00 p.m." In 2018, the estranged parents reunited to celebrate the festive occasion with Everly. Despite the aforementioned inconsistency in visitation with Everly, Channing says, "Since our separation and on the occasions that we have been together, Everly appears very happy and comfortable when she is with [Jenna] and me." He adds, "In my opinion and experience, Everly has appeared to adjust to our separation and living in two homes exceptionally well." It helps that both Channing and Jenna have gone to great lengths to help their five-year-old daughter adjust to their split. "I decorated Everly's room very girly in a fairytale and fantasy theme (i.e. Alice and Wonderland), with pictures of Everly with both [Jenna] and me on trips," the Magic Mike star reveals. "The room had bunk beds, which Everly was ecstatic about." Channing also shares that he and Everly often paint and swim together when they have the time. One of their favorite pastimes is playing the board game Candyland, which the star says Everly has an "uncanny ability to win... 80% of the time." The five-year-old truly has a rigorous schedule with sculpting classes, ballet, horseback riding and more on the agenda. So, naturally, this means Channing and Jenna have an equally grueling schedule since they are often responsible for taking their daughter to these activities. However, their careers allow them the ability to schedule around these events. In a statement to E! News, Jenna's rep states, "There are always going to be logistical hurdles with any divorce, but Jenna is fully committed to doing everything that is in Everly's best interest." Channing and Jenna publicly announced their split in April 2018 and have continued to display their dedication and commitment to providing for their daughter. "We have lovingly chosen to separate as a couple. We fell deeply in love so many years ago and have had a magical journey together. Absolutely nothing has changed about how much we love one another, but love is a beautiful adventure that is taking us on different paths for now," the couple said at the time of their split. They continued, "There are no secrets nor salacious events at the root of our decision — just two best-friends realizing it's time to take some space and help each other live the most joyous, fulfilled lives as possible. We are still a family and will always be loving dedicated parents to Everly."